Disney’s push to clear out the old Star Wars to make room for the new has so far seen the shuttering of The Clone Wars and burying Hayden Christensen in a steel box in the Arizona desert, and today it’s made arguably its biggest break with the past yet by closing the LucasArts video game arm. “After evaluating our position in the games market, we've decided to shift LucasArts from an internal development to a licensing model, minimizing the company's risk while achieving a broader portfolio of quality Star Wars games,” Disney said of its move to focus completely on licensing its titles to others, and how that translates to layoffs of all its own in-house developers. Like the movies, those titles will now be "Lucas" in name only. The decision also means that planned games like Star Wars: 1313 and Star Wars: First Assault have been canceled—though Disney is hoping to complete 1313, at least, by handing it off to another developer. 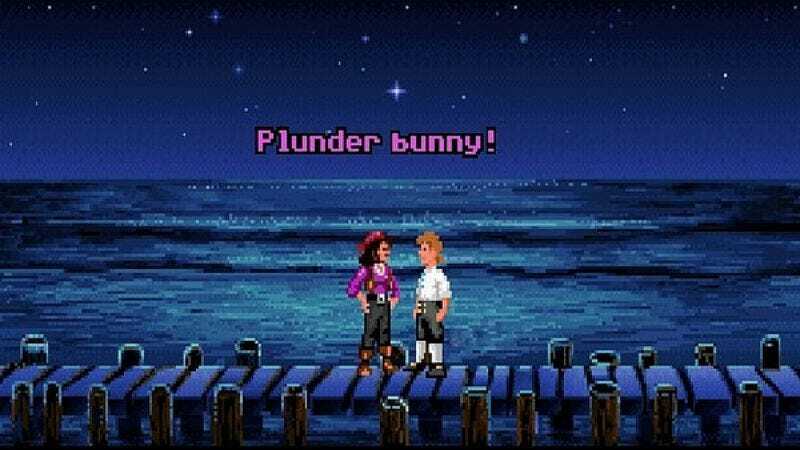 It also brings an end to a long history of LucasArts games, from still-beloved titles like Monkey Island, Grim Fandango, and Sam And Max, through the dozens of Star Wars games of varying quality released over the years. The last of these will be the poorly received Kinect Star Wars and The Old Republic roleplaying games, both of which—as with the passing of the torch from George Lucas to J.J. Abrams—might actually be a decent argument for letting someone else try doing something with the franchise.